Oct 23 1988 Cowboys At Eagles full game A quality, Cunningham 298 yds 1 td. Dec 18 1988 Eagles At Cowboys full game A quality, Cunningham 238 tds 2 td's. Dec 31 1988 Div. Playoffs Eagles At Bears (Fog Bowl) full game B quality, Cunningham 407 yds, K. Jackson 7 rec 142 yds. Sep 17 1989 Eagles At Redskins A quality slightly edited, Cunningham 34-46, 447 yds, 5 td's, Rypien 288 yds, 4 td's. Nov 23 1989 Eagles At Cowboys full game A quality, Cunningham 2 td's 234 yds. Dec 10 1989 Cowboys At Eagles full game A quality,Cunningham 170 yds, 1 td. 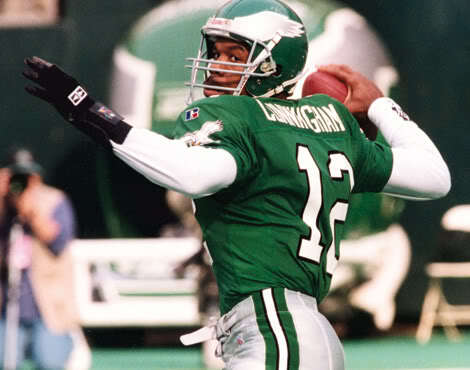 Oct 28 1990 Eagles At Cowboys full game A quality, Cunningham 183 yds 2 td's. Nov 12 1990 Redskins At Eagles A quality slightly edited, Cunningham 1 td, 132 yds. Dec 2 1990 Eagles At Bills full game C quality, Cunningham 231 yds 3 td's, Kelly 334 yds 3 td's. Feature Randall's unbelievable end zone escape and 98 TD pass to Barnett. One of the greatest TD's of all time. Dec 23 1990 Cowboys At Eagles full game A quality, Cunningham 144 yds. Sept 15 1991 Eagles At Cowboys full game A quality, Cunningham DNP. 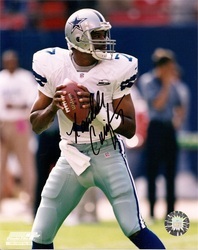 Oct 5 1992 Cowboys At Eagles full game A quality, Cunningham 124 yds, 1 rushing td. Nov 29 1992 Eagles At 49ers B quality fill game, Cunningham 257 yds 2 td's, Rice 8 rec 133 yds 1 td. Sept 12 1993 Packers At Eagles full game C quality, Reggie White's first game against his former team. Sept 19 1993 Redskins At Eagles B quality full game, Cunningham 360 yds 3 td's, C. Williams 180 yds rushing 3 td's. Dec 30 1995 NFC Wild Card Game Lions At Eagles slightly edited A quality, Cunningham's last win as a member of the Eagles. Jan 1997 NFC Wild Card Game Vikings At Giants 1 Hr edited version, B quality. Nov 26 1998 Vikings At Cowboys edited re-broadcast, Nicknamed "Thanksgiving Day MOSSacre" - Randy Moss has 163 yards,3 TD's with only 3 receptions; Vikes win 46-36,C quality. Dec 26 1998 Vikings At Tennessee Oilers slightly edited, C quality Moss 1 td, Last franchise game played as oilers. Vikings break all time team scoring record. Jan 10 1999 Cardinals At Vikings NFC Playoffs slightly edited, C quality, Moss 1 td. Jan 17 1999 NFC Championship Falcons vs. Vikings full game C quality, Kicker Gary Anderson, perfect all season misses late 4th quarter fg which takes game into OT. Oct 31 1999 Vikings At Broncos edited version, C quality, Cris Carter 8 rec 1td. Jan 2 2000 Lions At Vikings slighlty edited, C quality, Moss 5 rec 1 td. 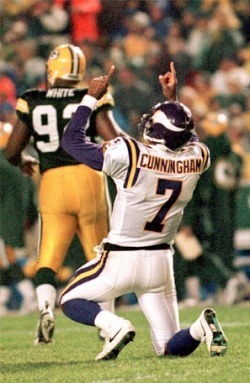 Jan 9 2000 NFC Wild Card Game Cowboys At Vikings slightly edited, C quality, Moss 5 rec 1 td. Jan 12 2003 Jets At Raiders AFC Playoffs Game in full, C quality Rice 4 rec 1 td. 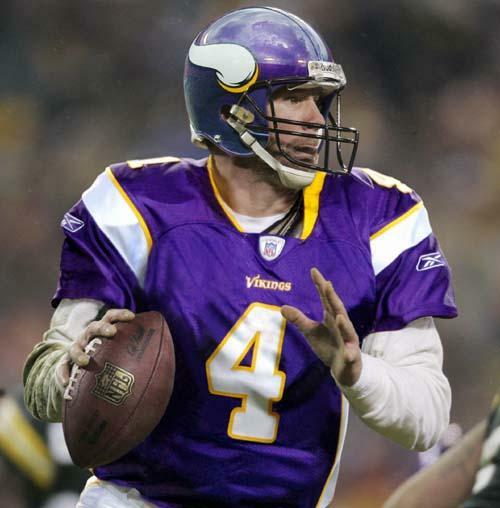 Nov 16 2003 Vikings At Raiders starts with 6 mins left in 1st qtr.2 Hr edited version, all plays included. 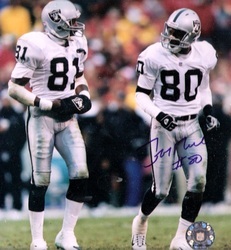 Sep 26 2004 Buccaneers At Raiders Game in full, Tim Browns return to Oakland 100th career td. Aug 31 2009 Vikings At Texans (Pre-Season) full game A quality, Brett Favre plays second Pre-season game for Vikings and throws 1 TD pass. Beyond The Glory - Deion Sanders 45 minute documentary on "Prime Time" Deion Sander C quality. ESPN 30 for 30 - Elway to Marino tells the story of Elway and Marino's NFL draft experience .HD 720p. ESPN 30 for 30 - You Don't know Bo HD 720p, documentary on career and life of Bo Jackson. 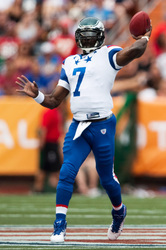 NFL Films - Top 10 QB's of the 90's A quality, rates the best 10 QB's of the 90's in order.